Historic discovery at Knapping Mount! As we near the end of the final phase of demolition onsite, we are pleased to have salvaged this huge stone from above the doorway of Knapping House, that bears the initials of its original resident William Henry Baxter. Born in Leeds in circa 1844 Baxter was a civil engineer, and author who lived in Harrogate with his wife and children. Owner of a road building equipment firm in Leeds, he is famous for patenting the ‘Knapping Machine’ which was used to break stones to make hard-core for roads. When he died Baxter was a pioneer in modern road construction and stone-breaking machinery and thanks to his success, was one of the first residents in the Harrogate district to own an electric car, which he used to commute to Leeds. 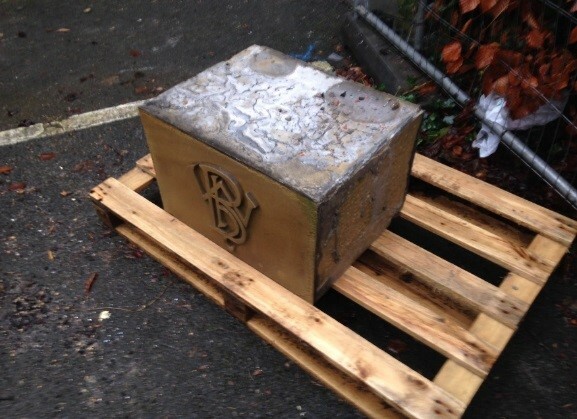 The stone featuring William Henry Baxter’s initials will remain where it belongs and be incorporated into the new building. We are proud to be part of Knapping Mount’s new phase of development creating an important civic hub for Harrogate for years to come whilst also maintaining a little bit of its history along the way. Local businesses keen to be involved in the construction of Harrogate Borough Council’s new civic headquarters can find out more about the project at a ‘Meet the Buyer’ event next month. The event which is being hosted by Harry Fairclough Construction, the Yorkshire based contractor behind the build, and Harrogate Borough Council, will take place in the King’s Suite at the Harrogate International Centre on Thursday 18 February from 4.00pm to 6.00pm. The construction networking event will provide the opportunity for companies from across the Harrogate district, North Yorkshire and the Leeds City Region, to meet the main contractors, principal subcontractors and council officers, and discover which contracts are available and how they can become involved. Businesses already engaged in the project include architects Farrell & Clark, engineering and environmental consultants Watermans, Rotary Building Services, retaining solutions specialists Phi Group, Harrogate Scaffolding, Comet Steel, Browne Civil Engineering, Otis Elevator Company, and Bardsey Tree Services. The event will also provide the opportunity for local businesses to build connections with other Yorkshire construction businesses for future projects. 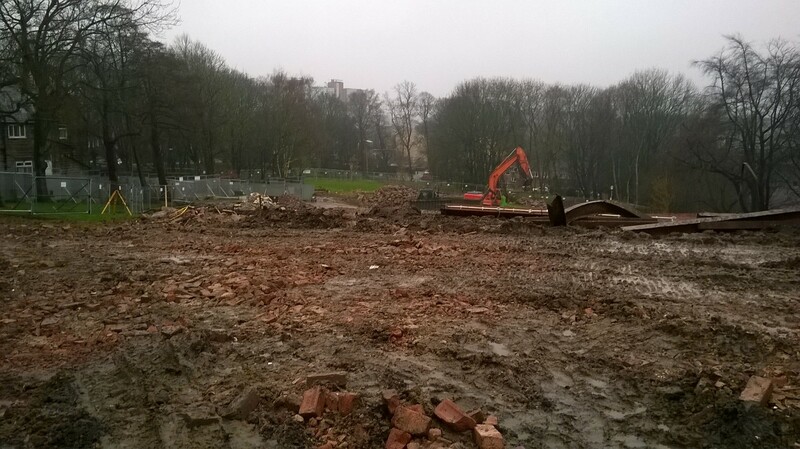 In November 2015, work began at the council’s Knapping Mount site to demolish the current building ahead of construction of its new, purpose built offices. Construction of the council’s new headquarters will start early this year with a scheduled completion date of spring 2017. The new headquarters will see council services operating from a single site rather than five separate locations. This will allow the council to offer better customer services and maximise staff efficiency by reducing duplication, sharing resources and streamlining processes and management arrangements. Moving to the new offices will see annual efficiency savings of around £1 million. Councillor Graham Swift, Harrogate Borough Council’s Cabinet Member for Tourism, Economic Development and Enterprise said: “The council is committed to working with local businesses in the delivery of this project and this networking event is the ideal opportunity for businesses to come along to see how they can become involved. “It will provide the chance for businesses to learn more about the council’s plans, speak to a number of the contractors and subcontractors who will be in attendance, and discuss the packages which are on offer. David Jones, Managing Director, Harry Fairclough Yorkshire, said: “Our Meet the Buyer event is an opportunity for local businesses to find out more about how they can get involved in the build of this exciting project. We are committed to working with local businesses and have already engaged a number on the build so far. Progress update: 14/01/16 back to the build! 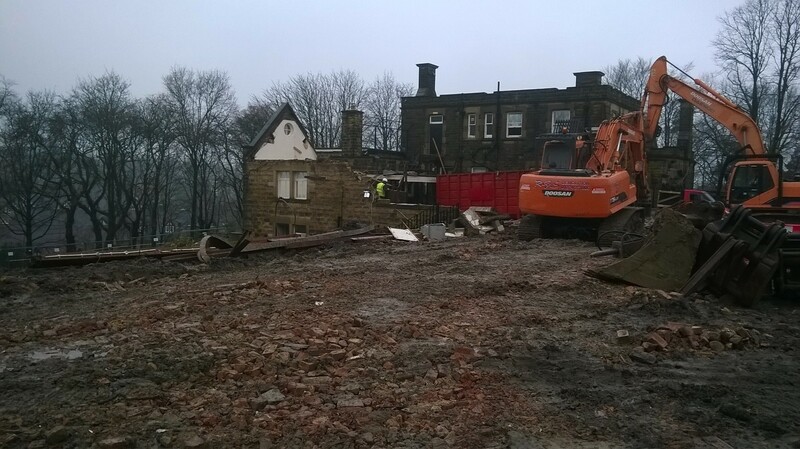 Our team started back on-site in early Jan and we are now in the final stages of the demolition of Knapping House. We have salvaged an important piece of history that will be incorporated into the new building and will reveal more on this shortly! We are also pleased to welcome Leeds based excavations firm Moorhead to the site team and our focus for the next phase of activity will be on levelling the site in preparation for the installation of foundations and retaining walls. Don’t forget, for an up to date view of the site you can access our live site cam and view a time lapse video featuring progress so far.